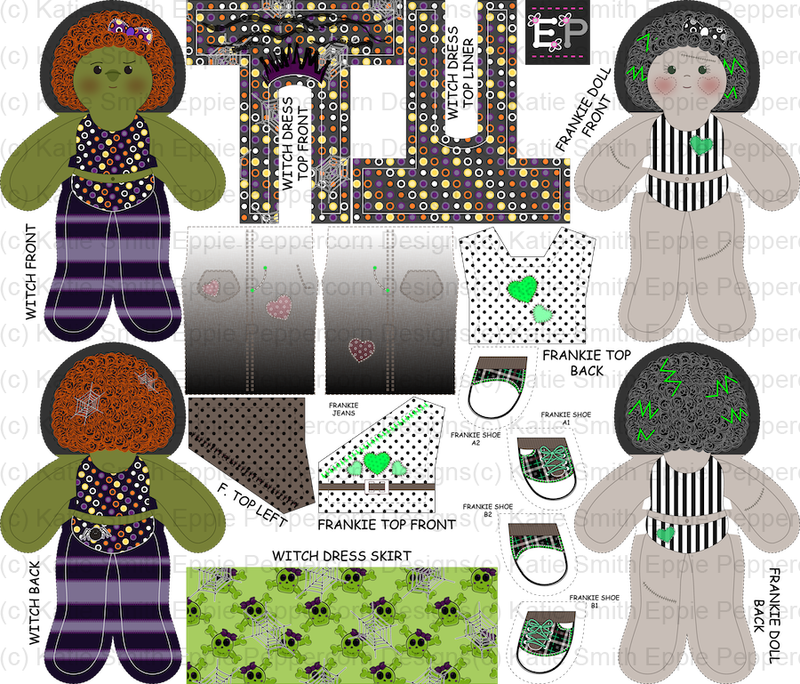 I design unique fabric doll kits for sale on Spoonflower.com. All doll and clothing designs use original computer graphics by me, Katie Smith. The dolls and clothing patterns were also designed from scratch and have been sewn and tested for fit. All dolls can share outfits, too! Below, you will find links to my latest doll kits, see pictures of the finished products, and most importantly, find the comprehensive PDF sewing guides for the dolls and their outfits. These basic guides will help you sew all the dolls and outfits for any of the kits you choose. Spoonflower's Basic Combed Cotton or Kona Cotton fabric is recommended. 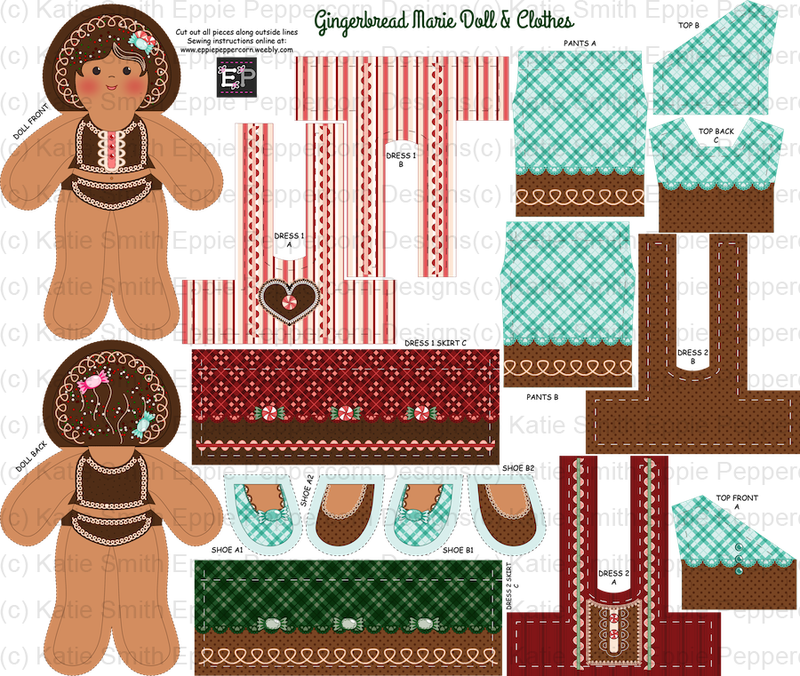 This little gingerbread girl is ready for the Holidays! She's a sweet little cookie with frosting hair, candy sprinkles, and candy bows. Gingerbread Marie loves to dress up in her red peppermint dress and her special Christmas red-and-green dress. Put Maire to sleep in her mint plaid pajamas. Her shoes are reversible. Wear the mint slippers facing forward with pajamas. 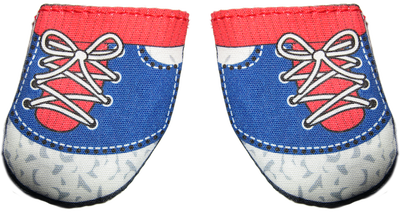 Dress her with the brown shoe sides facing forward to compliment her special dresses. This curly-haired witch and Frankie monster doll are a spooky, but not-too-frightful, pair of Halloween friends. The witch wears a simple tied-off sundress while Frankie wears a coordinating outfit of faded black jeans, white-and-black polka dot top, and matching shoes. These two tropical friends love summer! Flowery and tropical Mariposa (left) has a cute coordinating outfit with an elephant cross-over top, yellow faded jeans, and bright pink tennis shoes. Lani (right) is an Hawaiian girl who loves turtles. She wears a contrasting turtle-print sundress. You choose whether the sundress will have a green lining or blue lining when you sew her outfit!